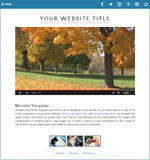 Best Starter Template: Includes 5 pages; Home, about, services, contact and missing blank page. Largest Minisite: Includes 26 total pages. 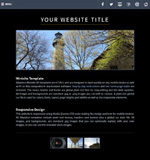 This template includes all Minisite pages and features. Expandable Slideshows: Includes 14 pages. Dynamic mobile friendly jQuery slideshows with markers. Paypal shopping cart: Includes 9 pages. Expandable Paypal cart page. Easy setup, instructions included. Expandable gallery: 10 pages. 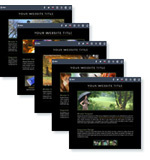 Dynamic gallery page with slideshow. More gallery pages can be added. Contact and quotes form pages: 13 pages. Dynamic F.A.Q., PDF downloads, mobile friendly "click" menu. Expandable videos: 14 pages. Responsive Youtube video pages. Easy to setup with your own videos. 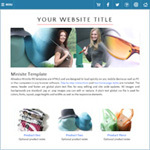 Order multiple Minis & save: Save $60.00 when you order the six pack of minisite website templates. 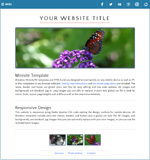 Responsive For Mobile: Built in basic HTML5 and CSS3, Allwebco Minisite web templates are downloaded zip file websites setup with multiple webpages pre-formatted to save time during web development. Our Mini Site designs check out as "Awesome! This page is mobile-friendly" using the Google Mobile Friendly Test and rates a 99 out of 100 for user experience at Pagespeed Insights. 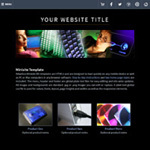 Web templates are built to W3C web standards and include a global css file for styles, colors, fonts, etc and a global menu, header and footer for easy site updates. A text logo with the option to easily use your own graphic logo is included. Works with any hosting company on any server type and in all newer web browsers, IE Chrome, Safari, Firefox, Opera, as well as older browsers like IE7. All images are standard .jpg, .png and .gif images that you can edit or replace. Webpages can be edited using any wysiwyg or plain text editor like Notepad or TextEdit. Step by step instructions and support are included. 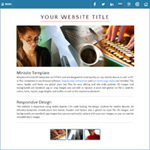 You can purchase any number of Minisite Web Templates and combine them with others to add extra features and pages. Read about responsive web design. Minisites from a Mini Site group can be combined. The templates above on this page are in the "RD" group so you can purchase any number of models and combine them for extra features. EXAMPLE: The template at the top left on this page is an RD Basic model. 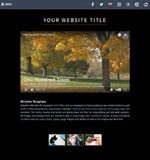 If you order this website, and would like to add slideshows you can purchase the "Minisite Slideshows" and combine the two templates. 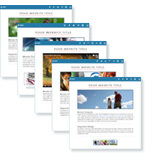 What Makes Allwebco Minisites Your Best Choice? Used by developers worldwide, our website designs include plain text menus, multiple pages formatted for the most popular website use and css3 Media Queries code to add the responsive for mobile features. Information is easily plugged into our designs and the step by step instructions as well as our searchable support area cover all aspects of website setup. 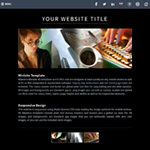 All website template colors can be edited in the css style file. We offer timely support and have helped tens of thousands of novice webmasters setup their websites. 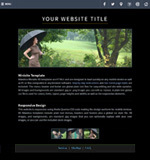 Other web template companies do not offer complete websites that include so many built-in features. 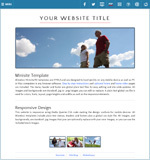 Contact forms, dynamic image galleries and slideshows, shopping carts, integrated videos and more. 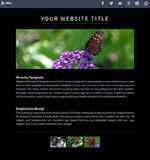 With our designs you just plug your info in and you can setup a new site very quickly. Fully optimized to allow for a good SEO ranking at Google and other search engines, our sites use the latest HTML code for optimal search engine friendliness. We have many free template plugins available and any template is returnable within 30 days for a full refund. Additionally, new downloads are free for any past purchase. 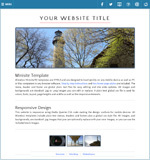 This includes any updated version of the web template that was ordered. View more details. Exclusively sold on the Allwebco website. Our designs are not available anywhere else.